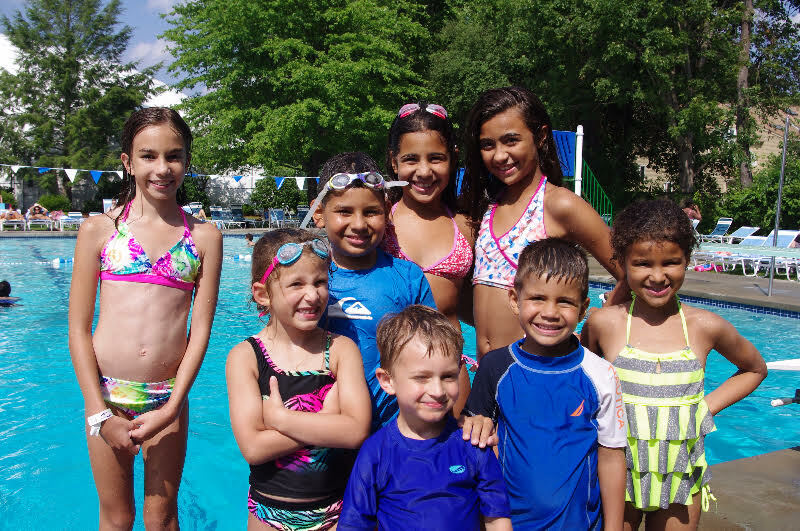 Wayside offers junior aquatics programs for children ages 6 months to 12 years old and Wayside Waves, a recreational swim team for swimmers age 5-18 years old. Read below to learn more about each program. For additional information or to schedule an evaluation, please contact Aquatics@WaysideAthleticClub.com or 508.481.1797, extension 26. This program is designed for children to be accompanied by a parent in the water. Moms, Dads or caregivers are taught to safely work with their child in the water, including how to appropriately support and hold their child while in the pool. They are instructed on how to encourage their child to participate fully and to try the skills. 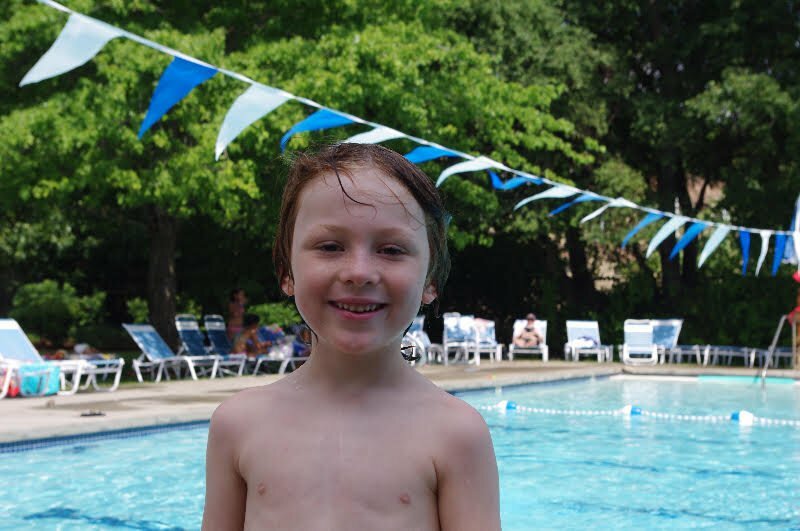 Children are introduced to basic skills that lay the foundation for learning to swim in the future. Water safety topics are introduced and discussed with the parents. This course is for children ages 6 months to 3 years and their parents. This course will require a one parent to one child ratio in the pool. This class introduces basic skill to parents and child then builds on those skills though song and games. Parents are taught to safely work with their child in the water, including how to appropriately support their child and how to prepare and encourage their child to participate fully and try new skills. Parents or caregivers will be introduced to water safety topics while children will be given a foundation for future skills. This program includes three levels that progress from the non-swimmer to children who are swimming comfortably on their own. We keep class sizes small, so there is opportunity for lots of individualized instruction. This class familiarizes children to the aquatic environment and teaches them rudimentary aquatic skills The class encourages participants to develop positive attitudes and safe practices in and around the water. To progress to Advanced Beginner, swimmers must be comfortable in the water and demonstrate that they can swim on their own while using or wearing a flotation device. This level builds on and improves skills learned in Preschool Aquatics Level 1. Water safety topics introduced in Level 1 are expanded. To progress to Intermediate, swimmers must show they can swim on their backs and on their fronts for about 5 yards without a flotation device. Preschool Aquatics Level 3 focuses on increasing swimming proficiency by building on the basic aquatic skills learned in Levels 1 and 2. Water safety concepts are reinforced and additional water safety topics are introduced. Swimmers progress through as they build their swimming skills and endurance. This class orients children to the aquatic environment and teaches them basic aquatic skills. Participants begin to develop positive attitudes and safe practices around water. To progress to Level 2, swimmers must show they can swim on their own using or wearing a flotation device. Level 2 builds on the basic aquatic skills and water safety skills and concepts learned in Level 1. To progress to Level 3, swimmers must be able to swim on their fronts and backs about ½ the length of the pool. This class builds on the skills learned in Levels 1 and 2 and helps children achieve basic water competency in a pool environment. To progress to Level 4, swimmers must be able to swim at least a length of the pool on their front and back and have a basic understanding of how to swim Freestyle, Elementary Backstroke and know how to perform a Butterfly, Breaststroke and Scissors kick. Level 4 improves children’s proficiency in performing the swimming strokes introduced in Level 3. To progress to Level 5, swimmers must be able to swim at least the length of the pool in Front Crawl, Elementary Backstroke, Back Crawl, Breaststroke, Sidestroke and Butterfly. This class teaches swimmers to refine their performance of all six swimming strokes. To progress to Level 6, swimmers must be able to swim multiple lengths of the pool, performing each of the strokes taught. This session refines the swimming strokes so children can swim them with greater efficiency and effectiveness over longer distances. Some classes will focus on aquatic emergencies, water fitness or fundamentals of spring board diving. Coaches create fun activities to challenge swimmers to increase their physical and mental fitness while improving technical swimming skills. At Wayside, it is important to provide the environment where swimmers can improve through hard work and commitment as they develop a healthy competitive spirit, sportsmanship, and team mindset. Have a good understanding of Freestyle and Backstroke and a basic understanding of Butterfly, Breaststroke, and Diving. This group is for swimmers ages 8-10 who are able to swim multiple lengths of the pool in both Freestyle (Front Crawl) and Backstroke. We will work on all 4 competitive strokes, diving, relays and building endurance. Build up their endurance and create a solid understanding of Freestyle, Backstroke, Butterfly, and Breaststroke. This group is for swimmers ages 10- 14. Swimmers in this group must be able to swim multiple lengths of the pool without stopping. This practice group will have the largest range of abilities. We will work on all four competitive strokes as well as starts,turns, finishes and relays. Increasing their endurance through higher workloads; building stroke technique and competence; gaining an understanding of stroke drills and muscle groups used in swimming; and , of course, increasing their speeds. This group is for our High School swimmers (plus any middle school swimmers who are able to practice at a higher level). We will work on all four competitive strokes, starts, turns, finishes and relays as well as increasing their endurance through higher workloads. We will also prepare swimmers for their winter high school swim team! Build up their endurance and create a solid understanding of all 4 strokes. Perhaps join their high school team! Michael is a great instructor and really cares about each student. I have been to a lot of other clubs and have seen a lot of Level 4 instructors. Michael really breaks down the strokes, does much needed instruction and really gets to know the kids.